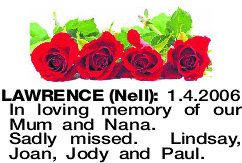 In loving memory of our Mum and Nana. Sadly missed. Lindsay, Joan, Jody and Paul.